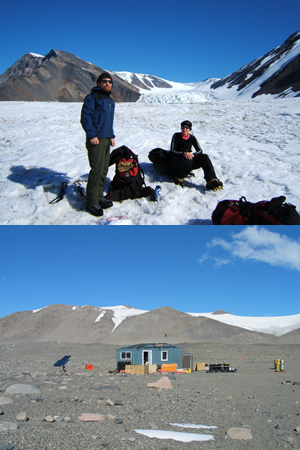 Joel Barker - geochemist, glaciologist, Canadian. Joel will be answering questions from elementary school classes in Calgary. Robin Ellwood - Dive master. Robin is a middle school teacher in New Hampshire and keeps a diary for her students back home.